Like Hope students who traverse and learn internationally during the summer months, many Hope professors do the same. 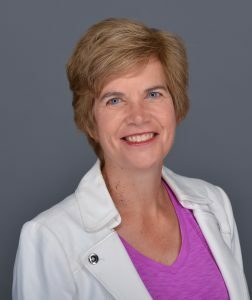 One such example is a focused and lively international faculty development workshop, co-directed by Dr. Joanne Stewart of Hope’s chemistry department, which brought together liberal arts science professors from around the world during the summer of 2017. The Global Liberal Arts Alliance (GLAA) Science Teaching Workshop, established by Stewart and two other colleagues from the GLAA, was held in Athens, Greece, for four days in June with roughly half of the participants from American liberal arts colleges and half from international liberal arts schools in Hong Kong, Nigeria, Lebanon, Saudi Arabia, Japan and Greece. Its main intention: bring together 26 international science and engineering faculty to build and engage a cross-cultural community to share ideas, resources, and enthusiasm about teaching and learning in the sciences. A year in the making and funded by a grant from the GLAA, the first-time workshop was a success on several levels, says Stewart. Besides getting international liberal arts faculty together for bonding time, they also “talked shop.” Best practice discussions abounded for implementing primary scientific literature in the classroom; sharing assessment, pedagogy and action research techniques; co-developing new interdisciplinary curricula; and, troubleshooting particular difficulties that faculty encounter. Within a very detailed and active four-day agenda, participants were given some flexibility and downtime, too. Stewart remembers on the last day of the workshop, a group of professors finished a project ahead of schedule. For the remaining hour-and-a-half, they simply talked with each other about their challenges and joys of teaching science. Stewart has plans to offer the workshop again in a year or two. In the meantime, this initial community of science educators lives on virtually with their own collaborative website. They have also been Skype-ing into each other’s classrooms, another way science teaching is becoming more globalized. 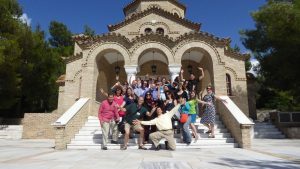 And they’ll put into use those best practices they learned for four days in Greece, proving good teaching and cross-cultural learning partner to bring new friends together anywhere in the world.